Contains the sounds of all regions from every continent. Includes important genres such as reggae, worldbeat, neo-traditional, world fusion, Balkanic jazz, African film, Bollywood, Arab swing and jazz, and other genres such as traditional music - Indian classical, fado, flamenco, klezmer, zydeco, gospel, gagaku, and more. A wide-ranging collection of critically acclaimed documentaries that explore human history from the earliest civilizations to the late twentieth century. The video content offered here is truly global in scope and includes Africa. African Journals Online Description of this database. AfriGeneas : African Ancestored Genealogy Description of this database. Black Women Writers (ASP) Description of this database. May make a limited number of print or digital copies for research, education, or other non-commercial use. May not alter, remove, or obscure copyright notice. Encyclopedia of Portuguese Expansion Description of this database. Slavery, Abolition and Social Justice, 1490-2007 Description of this database. Nadine Gordimer, Bessie Head, Doris Lessing, Nelson Mandela, and more. Corpus of francophone literature from black Africa contains 11,000 texts of Francophone Literature from Africa. Commerce, Christianity, Civilization, and Conquest in Nineteenth Century Collections Online (NCCO) delivers monographs, manuscripts, and newspaper accounts covering key issues of economics, world politics, and international strategy. Chat with Social Science/Education Help Desk. 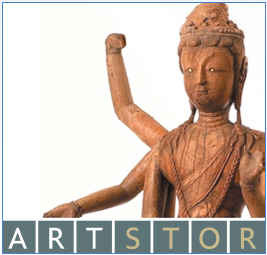 A digital image database of nearly 700,000 images from a wide range of cultures and time periods. Provides access to over 380,000 images of the visual culture of every civilization and every period from Prehistory to the present day across continents and civilizations. With all copyright cleared for educational use, Bridgeman Education gives you access to the visual culture of every civilization and every period from Prehistory to the present day across continents and civilizations.